Ground-breaking on-line solicitors’ firm Woolley & Co has expanded into East Anglia with the appointment of a local family law expert. The ‘virtual’ practice uses a team of experienced, in-house lawyers to offer a full legal service without the need for clients to attend time-consuming meetings in intimidating offices. Now Norfolk-based Karen Agnew-Griffith has boosted the team by joining to provide specialist legal services for clients in the region. Mrs Agnew-Griffith, aged 41, a former Royal Air Force officer, has moved to Woolley & Co from a firm in Hertfordshire but previously worked at a practice in Norfolk and has lived in the area over many years. She said: “I am delighted to join Woolley & Co and am looking forward to the fresh challenges that such a forward-thinking and innovative firm offers. “We can offer the efficiency of an internet company but in the legal field, which is way ahead of the game in terms of providing clients with a fast, efficient service. And with the depth of knowledge and experience we can offer, it is like using a London lawyer without the need to go to London. “Despite this, I think it is quite reassuring to clients to know that they are dealing with someone local who knows the area and its particular quirks. Woolley and Co’s success is founded on plain English and a straightforward approach, putting clients at ease rather than blinding them with legal science. 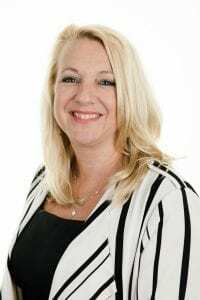 Andrew Woolley, Woolley & Co senior partner, said: “Karen is a fantastic addition to the team here and we would like to offer her a warm welcome. “Being ex-RAF, familiar with Norfolk and having gone through a divorce herself, Karen is perfectly placed to understand clients’ needs and guide them through what can be very difficult times with the utmost sensitivity and professionalism. “She has been practising law since 1988, becoming an expert in all aspects of private family law, including child abduction proceedings – particularly those involving members of the Forces both American and British, here and abroad – divorce and separation, and financial settlements involving private businesses. For advice on divorce and family matters contact Woolley & Co on 0800 3213832 or book an appointment here.